As it turned out, Thomas had an excellent partner in his quest: his brother William. Both signed on with the First Minnesota Light Artillery, working as вЂњcannoneers,вЂќ responsible for loading and aiming big guns at the enemy. The First Minnesota saw action in major battles at Shiloh, Corinth, Vicksburg, and Atlanta. But the adventurers also endured the monotony of camp life, the hunger of poor supply lines, and, in WilliamвЂ™s case, the challenges of enemy capture. The ups and downs, the doubts and thrills are recounted from their differing perspectives in this collection of letters to worried parents, a winsome sister, and a younger brother eager to join in the fight. Their vivid epistles are enhanced by the familial connection of brothers in arms who eventually did see the worldвЂ”and returned home changed. Hampton Smith is a reference librarian at the Minnesota Historical Society. In his many years at the society, he has developed expertise in Civil War and military history. 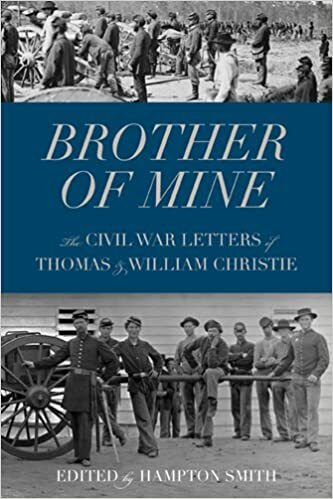 The Christie letters are a treasured part of MHS collections.